RULES OF CIVILITY…OR… RULES OF NEW YORK? 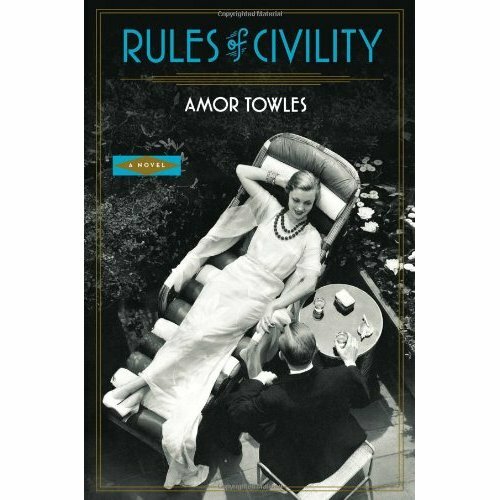 Amor Towles debut novel Rules of Civility captures the rules of New York and places George Washington’s 110 Rules of Civility in the Appendix where they rightfully belong! This read is a love relationship with New York, a city that authors its own rules! What could be more compelling? The earnest daughter of hard-working Russian immigrants born and raised on the Lower East Side. A near-do-well wanna-be who will do anything to be accepted and regain lost riches. A sweet and adventurous mid-western transplant. The swells of the Upper East Side trust fund gang, a hard charging publisher and of course “ladies who lunch .” The players are all there and their personalities explode in a wonderful page-turning story set in the post depression era of the late 1930s. New York is bouncing back, regaining its lost energy, wealth, world status and rebuilding with money, music, bricks, mortar and unlimited opportunity for those willing to dare a ride on a rainbow. The book’s intimacy with New York is reminicent of Pete Hamill’s Downtown and Tabloid City. There is a hint of F. Scott Fitzgerald and even a flash of Hemingway. ” By nine o-clock the restaurant would feel like the center of the universe.” The 21 Club, the village jazz clubs before red velvet rope lines, the big bands, the after swing parties and the glorious and transparent lives of trust fund swells of the Upper East Side and Oyster Bay. Towles builds characters who are looking out, looking in and some who don’t give a damn about all the action swirling around them. Falling in and out of love with intimacy left to the imigination. Rules of Civility is a New Yorker’s book but just like the city, it is there for the enjoyment of anyone willing to seize the moment. This is a very, very good first novel which may well have a movie running through its veins. 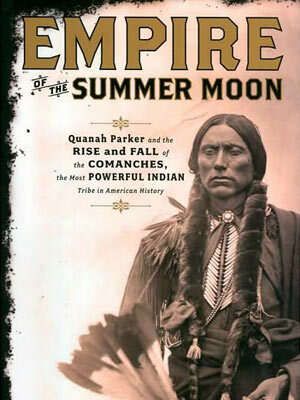 S.C. Gwynne’s Empire of the Summer Moon is a work of non-fiction deserving of its finalist status for a 2011 Pulitzer. What is so haunting about this book is an un-avoidable love-hate relationship with the Comanche’s of West Texas and the High Plains in the period 1830-1875. You will come to respect the greatest mounted warriors that ever lived in North America. Witness the absolute freedom of Comanche life on the high plains, totally in harmony with the soil, water, wind, buffalo, and of course the horse. Then there is the depravity, ruthless killing of rival tribes and later the slaughter of white settlers. Men, women and children hacked to death or kidnapped, raped and mutilated without remorse. Within this barbaric tale evolves the portrait of Cynthia Ann Parker, captured at 9 years of age after watching her family slaughtered by a Comanche raiding party. Parker embraces the Indian culture, marries a head man and bears two sons. Later, found by the U.S. Army among a wandering Comanche tribe, she is returned to ” civilization” and put on display almost as a freak show. Members of the Parker family hand her off from one to another as she tried desperately to return to Indian life and her sons. She died broken-hearted never knowing what happened to her husband and two sons. Son Quanah who saw his mother taken away by soldiers at age twelve grows to become the most brutal Comanche worrier of his time. Gwynne’s research is worthy of the book’s sub-title. Quanah Parker the Rise and Fall of the Comanches, the Most Powerful Indian Tribe in American History. Gwynne’s vivid detail and attention to the historical record forces the reader to try to reconcile the many faces of the Comanche, mounted nomads of the Great Plains. It is all here, Spanish Colonialism in West Texas, The Civil War, Manifest Destiny, the destruction of the great buffalo herds and of course the true story of Cynthia Ann Parker and her son Quanah. Quanah from wild murdering Comanche orhpan to dinner with President Teddy Roosevelt. Empire of the Summer Moon places this incredible tale in proper historical perspective. Don’t look for a historical novel here, this is a well researched narrative and wonderful story. There is little wonder why Unbroken by Laura Hillenbrand has been atop the New York Times Best Seller List since its publication last year. The epic story of the survival, resilience and redemption of Lieutenant Louis Zamperini is a triumphant accomplishment . It is a literary and historical work by Hillenbrand worthy of the highest accolades. 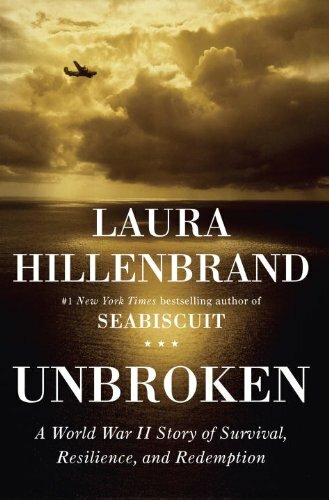 Unbroken equals and in its research even surpasses the excellence of Hillenbrand’s wonderful Seabiscuit . Warning, it is a disturbing read. Hillenbrand traces the life of Louis Zamperini from delinquent teen to local track hero and Olympian to a World War Two B-24 bombardier shot down with his crew over the Pacific. Forty seven days in a raft first with three fellow crew members, then only two. The horror of that ordeal is trumped by his capture and incarceration for two and a half years as a Japanese POW under the most sadistic circumstances imaginable. Zamperini’s story of human survival defies belief. Hillenbrand’s research and writing misses no detail, including the story of Louie’s Post Traumatic Syndrome long before anyone had diagnosed the tragedy of post combat emotional illness. Unbroken’s historical perspective on the war in the Pacific ranks Hillenbrand’s writing in a league with Stephen Ambrose (D-Day) and ( Citizen Soldiers), James Bradley ( Flyboys), Jeff Shaara ( The Final Storm), and Doug Stanton ( In Harms Way-The Sinking of the USS Indianapolis). It is not easy to digest Hillenbrand’s descriptions of the horror’s faced by Louie Zamperini and thousands of other POW’s but the outcome is triumphant for the author, the reader and Louie Zamperini! There are many months ahead for this great book on top of best seller lists, and it is most deserving of a place in your personal library.